Why Do Some Dogs Shake? Sometimes dogs shake with excitement upon seeing a favorite loved one. Other times their trembling is an involuntary response to environmental factors. While these causes are harmless, shaking can also be a symptom of certain genetic conditions or a sign of a serious illness. In order to determine if your dog’s shaking is a cause for concern, you must understand the many reasons that may account for it. Certain breeds are more prone to shaking. Ask any Chihuahua parent and they will tell you these dogs shake. They shake when they are tired, hungry, happy, excited – you get the idea! 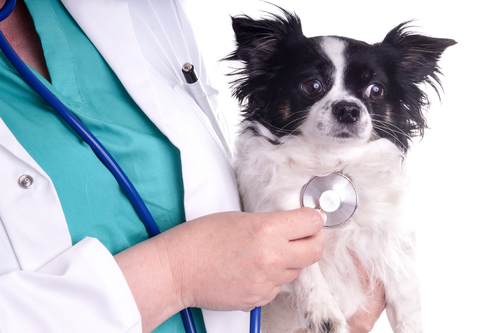 Chihuahuas’ shaking is so common in Chihuahuas that it is rarely seen as a cause for concern. Their frequent trembling is often chalked up to cold due to their sparce haircoats and tiny size. They are also prone to anxiety. 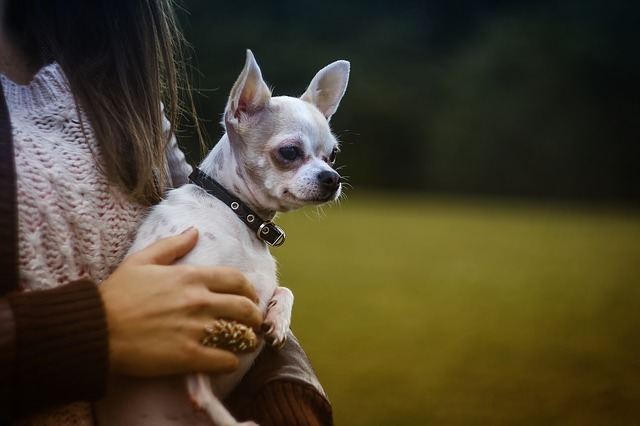 In addition to the notoriously shaky Chihuahua, there are a handful of breeds predisposed to conditions that cause trembling. Malteses and West Highland Terriers are the most likely breeds to develop acquired tremors syndrome. The disease is so common in these “little white dogs,” it is often referred to as white dog shaker syndrome. Shaking puppy syndrome is a genetic condition that affects the nerves of the spinal cord. Although frightening to witness, the disease tends to resolve on its own as the dog matures. It is most commonly seen in Chow Chows, Weimeraners, Bernese Mountain Dogs, Samoyeds, English Springer Spaniels, and Rat Terriers. Just like us, dogs shake when they are cold. Shivering is the body’s natural response to cold temperatures. It is a physiological response that mammals have no control over. When dogs shake, the rapid movements of their skeletal muscles release heat, helping to raise their core temperature. 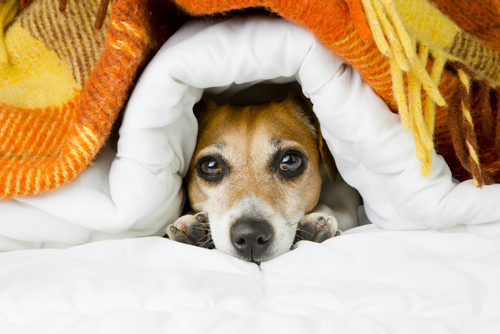 For most dogs, their fur coats and cozy homes are enough to protect them from the cold. However, short-haired breeds, dogs with low body fat, and those left outside in harsh weather may shake more. Dogs shake in anticipation of their favorite things. Dogs are happy creatures that rejoice in life’s simple pleasures. The sight of their leash or the crinkle of a fresh bag of treats can cause them to quiver with anticipation. Pups with strong work/prey drives tend to be most prone to this type of trembling. Thankfully, anticipatory shaking is harmless unless it causes your dog to act out in negative ways. Many dogs shake as a result of fear or anxiety. Dogs have the same “fight or flight” response that causes humans to shake with fear. When they are scared, the body releases the hormone adrenalin. It sharpens their senses and prepares them to survive a stressful encounter. 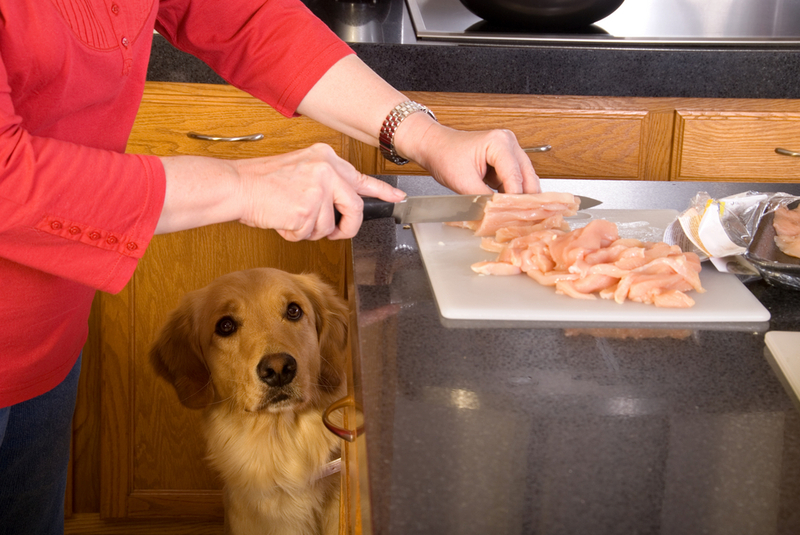 Fearful shaking is not always rational, especially in dogs suffering from phobias and anxiety disorders. For example, the vacuum cleaner terrifies some pups. Others tremble at the sight of harmless objects like skateboards. It takes time and patience, but dogs can overcome their fears. Unexplained shaking could be a sign of pain. As dogs age they experience muscle wasting and sore joints. 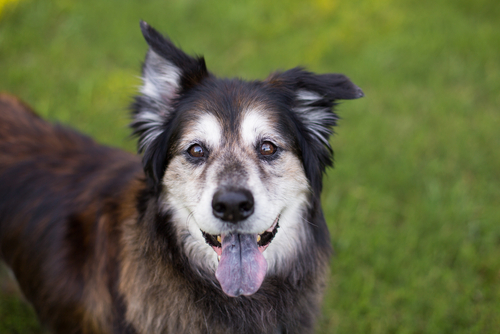 It is not uncommon for senior dogs to shake as a result of pain or weakness, especially in the hind end. Dogs suffering from painful medical conditions such as pancreatitis may also tremble due to the same stress reaction discussed above. If your dog is experiencing unexplained trembling and/or showing additional signs of pain or illness, contact your vet. Certain serious illnesses cause shaking. Below are several serious medical issues that may cause shaking. Exposure to toxins – Some poisons can affect the nervous system causing involuntary tremors. Others cause extreme pain and nausea which may also cause dogs to shake. Kidney disease – Dogs with advanced renal failure may suffer from seizures, tremoring and shaking. Canine Distemper – This life-threatening virus can infect the brain, causing shaking and seizures. A simple vaccination series can prevent distemper. 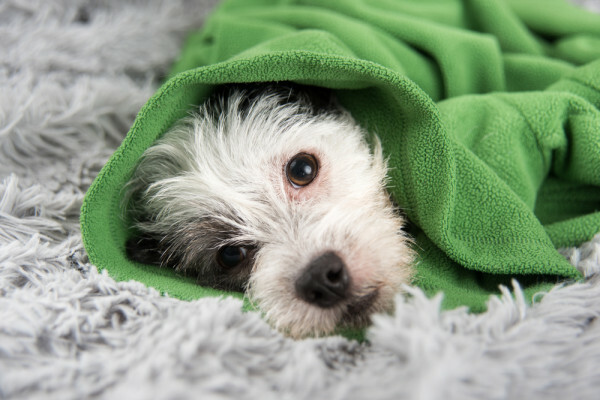 Hypoglycemia – Low blood sugar is most common in puppies and tiny dogs. It can cause dizziness, stumbling and shaking. Unbalanced electrolytes – Sodium, calcium and chloride are the major electrolytes in the body. If they are off balance, a dog may feel ill, shaky or weak. Epilepsy and conditions affecting the cerebellum – Most people picture the dramatic, flailing grand mal variety, but seizures can be much more subtle. Cerebellar degeneration or injuries to the cerebellum are also known to cause neurological symptoms such as shaking or tremors. If your dog is experiencing new, unexplained shaking that recurs or does not resolve, see your veterinarian promptly.